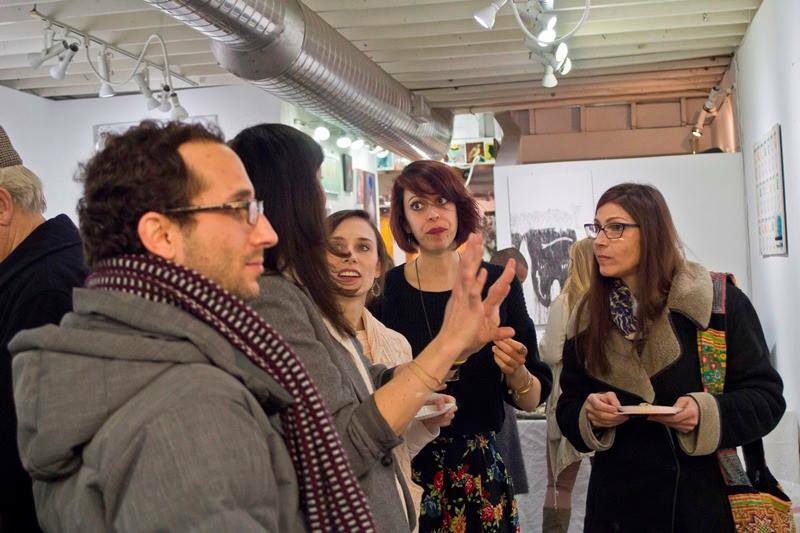 Kim Barry, a Pittsburgh-born artist who moved back here from Los Angeles in 2013, has created pop-up studios across the country, in which she designs interactive environments that include paintings, sculptures, music, movement and installation. 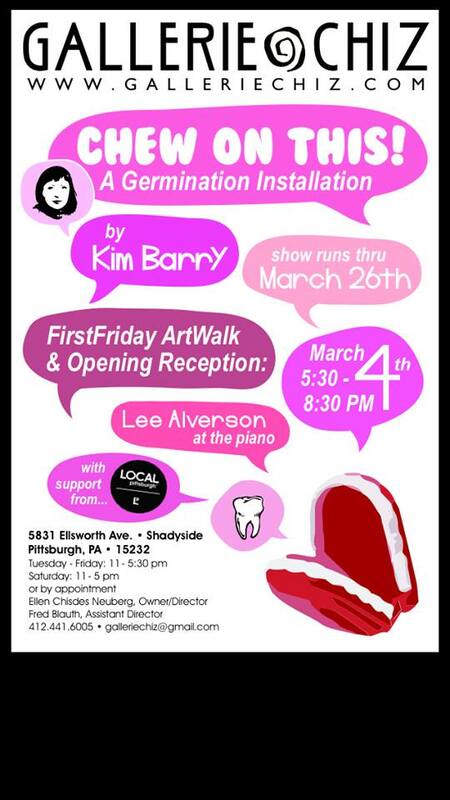 Now, she has set up her latest installation, “Chew on This!,” at Gallerie Chiz for her first solo exhibition in Pittsburgh. At the core of the installation is FatMan, a life-size clown figure. 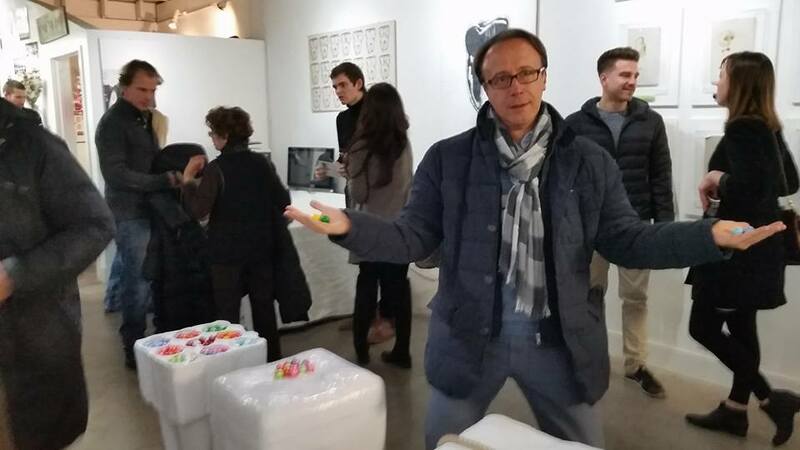 He was first introduced as a character in Barry's interactive installation work in 2011. 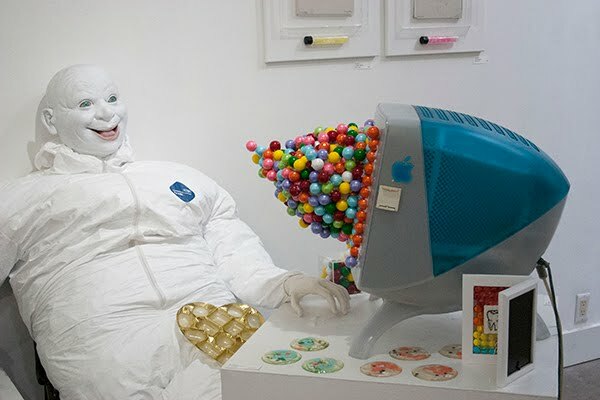 In this particular show, he sits at his desk in front of a first edition iMac computer taking in the “eye candy” online, which takes the form of colorful balls that literally burst forth from the computer screen. They not only look like candy, Barry says some of the colorful balls are real gumballs swirling hypnotically toward his face from the screen. 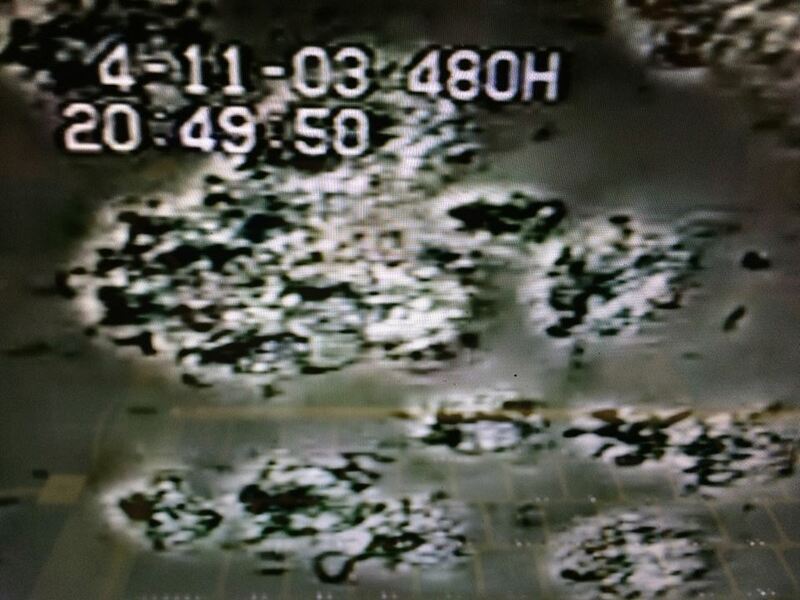 As his mind processes everything he watches into thoughts, his other hand is on a projector that is screening a looped eight-hour time lapse of biofilm forming on teeth. 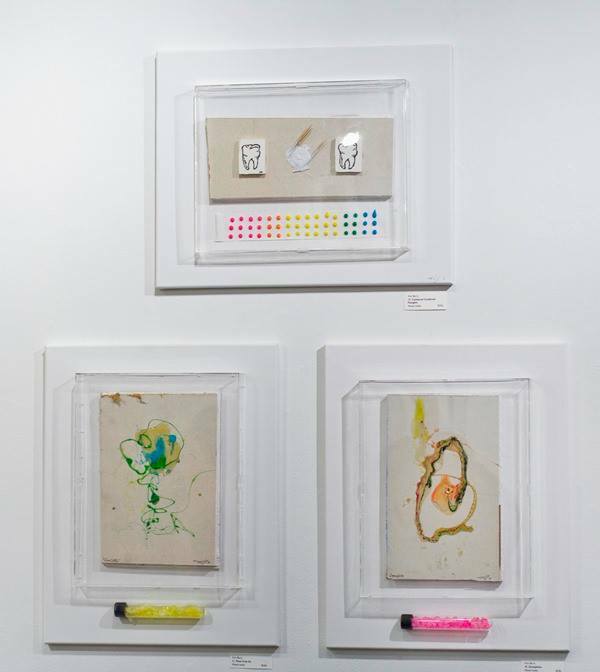 Barry says viewers are to walk up to the board, in effect covering themselves with the biofilm projection, and confront the question, “What's eating you up?” Then they are encouraged to write their answers on brightly colored pieces of paper in the shape of gum balls. “They then place their gum ball on the board. Confronting it. Acknowledging it. 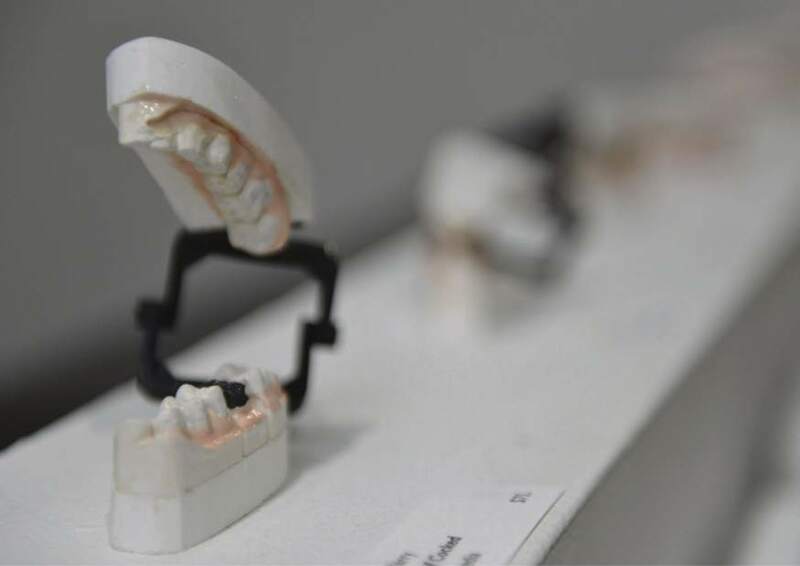 That's where the four wisdom teeth sculptures in the center of the room come into play,” Barry says. 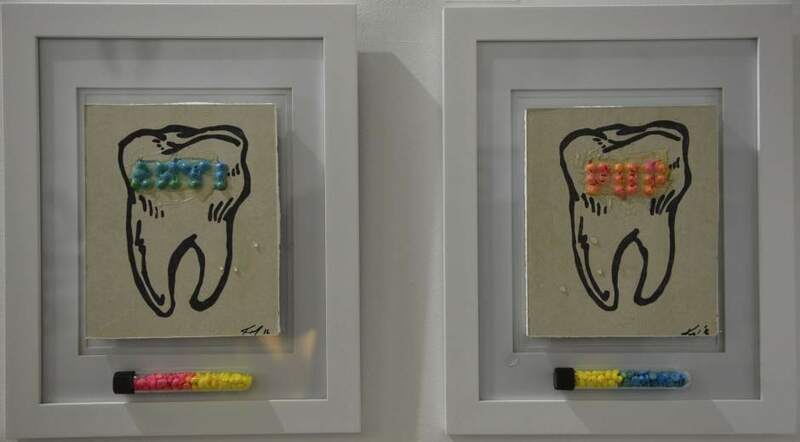 Barry says the first wisdom tooth represents health: “Open it up (with the help of the gallery rep), and (visitors) are given a YesBall to remind them to let it go no matter how deep and allow themselves to heal,” she says. “It's a Pop-y take on the very serious discussion of festering ideas, festering emotions, festering events in our lives that sometimes, true or not in their full or limited scope, magnetize us toward decay and death,” Barry says. The second tooth has a rope coming out of the center of it to represent the tendency to control cleanliness with floss. 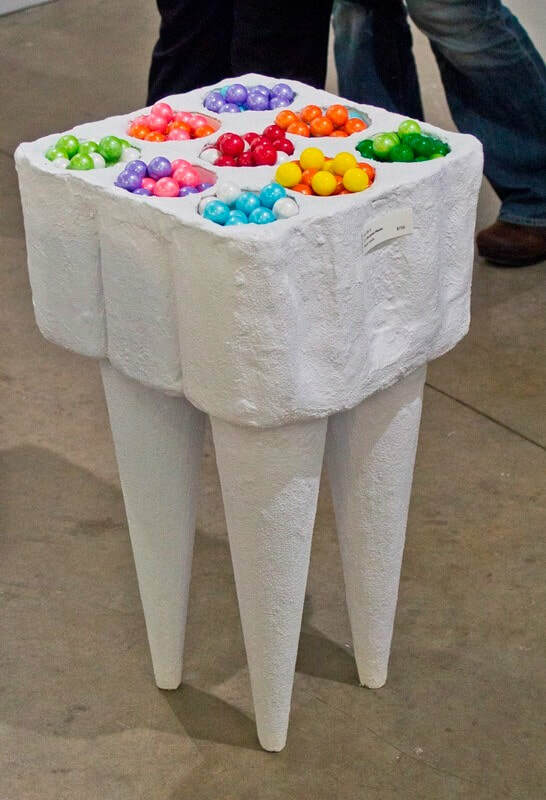 The third one has just a few real gumballs sealed onto the top to represent a thought seed being set. And the fourth one is filled with gumballs. “But it can also store bottles so it's practical home decor art,” Barry says. 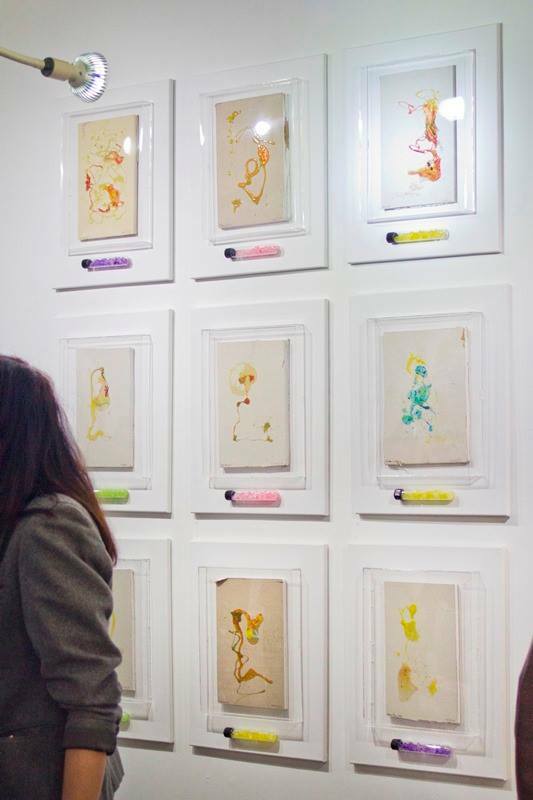 As for the piece “I Want!,” Barry says it's a fun play on repeated childish behaviors, desires and attitudes that often play out in adulthood as well. “(The) attitudes that bubble up as adults but get called everything else under the sun for posterity,” she says. 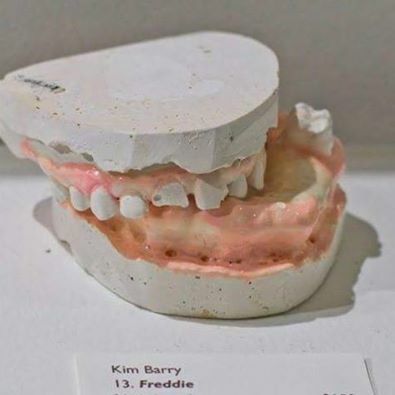 Various sculptures of mouths, made from real dental casts, complete the exhibit. “The idea was to imagine the kind of personality that would reflect the constitution of each mouth,” she says. Kurt Shaw is the Tribune-Review art critic.